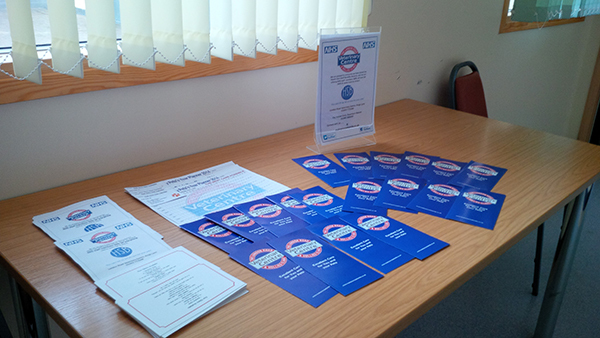 Thursday 14th April saw our promotions lady visit Newcross Hospital in Wolverhampton to promote the scheme to some of the 9000 staff members who are attached to the Trust. An email had been sent out prior to our visit and on arrival staff approached our stall as we were setting up which is always a great indication that we are going to busy!!! Tracey from Urban Spa & Tonic and Yasmin from Complexions Gym (Both participants in the scheme) came to the stand to drop off information leaflets which were collected by staff and genuine interest shown in the offers available to them. We were kept very busy on the stand and our location meant we had great footfall of passing staff who were really interested in the discounts available to them. 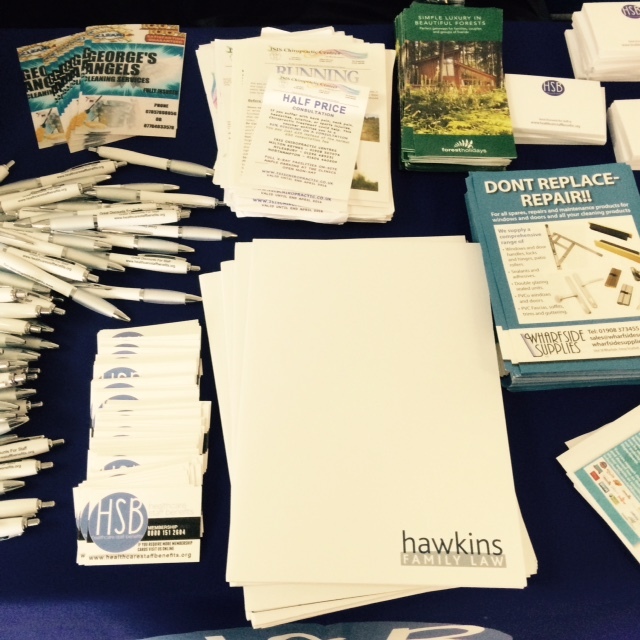 All staff that visited the stand were handed "goody bags" containing pens, post it notes and membership cards along with the cards, leaflets and information received from local businesses. To coincide with our visit to the Trust we held a competition to win a mini Ipad and staff had to nominate 3 local businesses that they used and wanted to to receive discounts from. 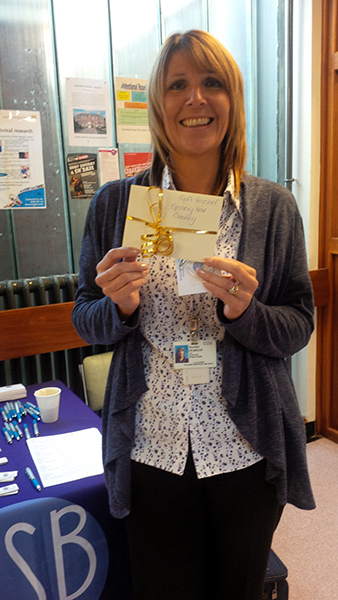 The winner was drawn at 1.45pm and is Mrs Saroj Kumari who works in Urology. Our next planned visit to the Trust is in September and hope the next visit is as successful as todays!! 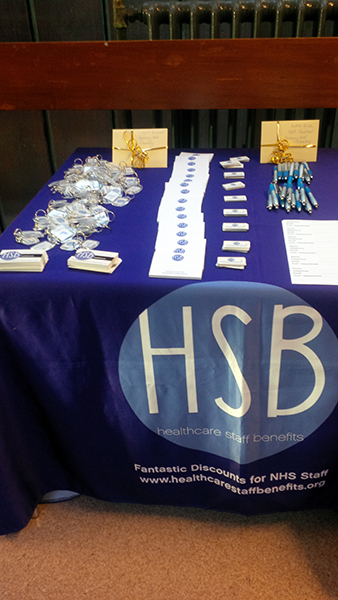 Something a little different for us, We recently visit HMP/YOI Swinfen Hall to promote local benefits at their staff day event. Well, what an amazing recation we had! We'd like to extend a massive thank you to Katrina for the warm welcome and also to all the inmates who put out an amazing Buffet for all those attending! We'd like to say congratulations to Colin Wiley from G Wing who won our iPad competition on the day! enjoy your prize! 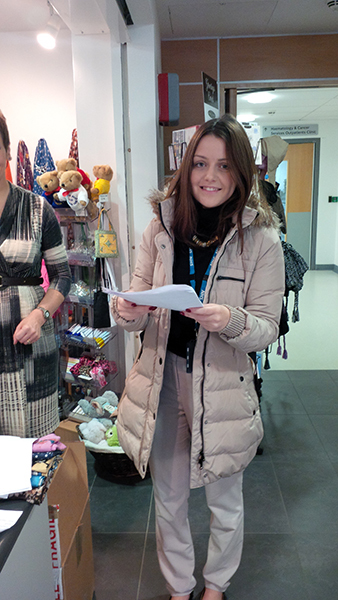 Tuesday 1st of March saw our promotions team visiting Aintree Hospitals. 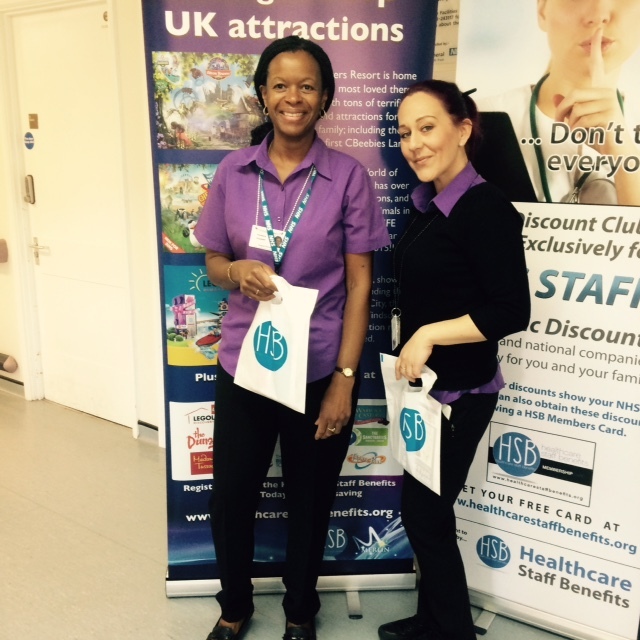 Due to fantastic promotion beforehand our team saw hundreds of staff members working at the hospital who were interested in knowing more about our scheme and the fantastic discounts available to them in the local area. As usual we asked staff to recommend local businesses who they used and who they wanted discounts from. Again we had tremendous feedback and these businesses are all in the process of being contacted to join our scheme.
" Didn't realise you had all these businesses offering discounts!! Its fab!! I'm going to start using this straight away!!" " So my husband can use this membership card as well?? Awww he will be made up cos his car is due for a service next week!!" " Im getting married next year and its costing me a fortune.... If I spend time looking through the website I could save a few pounds with the Bridal Shops, Florists, Jewellers & Car Hire.... Can I book function rooms through this as well & hotels (Yes you can) Great stuff I will have a proper look tonight see what is on offer"
We'd Like to say a Massive Congratulations to Luke Howard from the Trauma ward who recently won our Holiday Competition. We know how hard you work and hope you enjoy a relaxing holiday on us! We know you will as many of those who've won this prize before have even gone on to book holiday's back with us at the apartment! 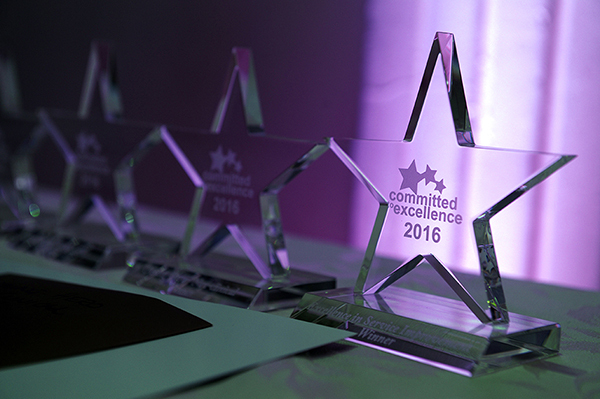 Committed to Excellence’ staff awards evening at The Dudley Group NHS. 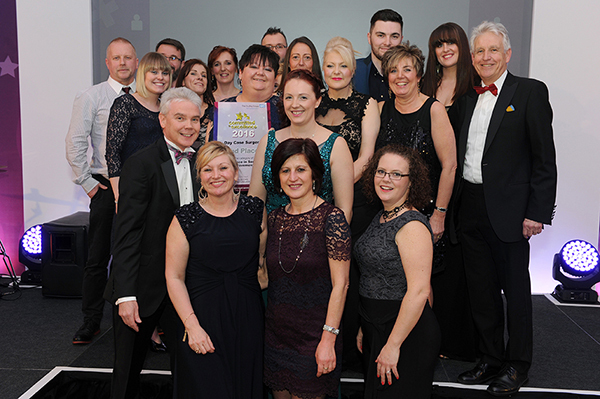 We where invited to sponsor the "Excellence in Service Improvement" category at the recent event over at The Dudley Group NHS Recently, We have an amazing evening and would like to say a massive congratulation to all the winners on the night.
" 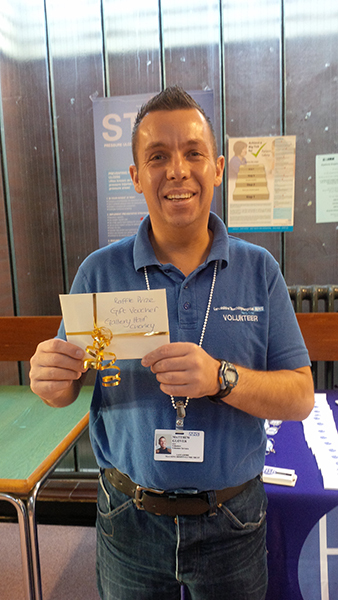 I am writing to thank you very much for the generous raffle prize you gave us for our staff awards evening. 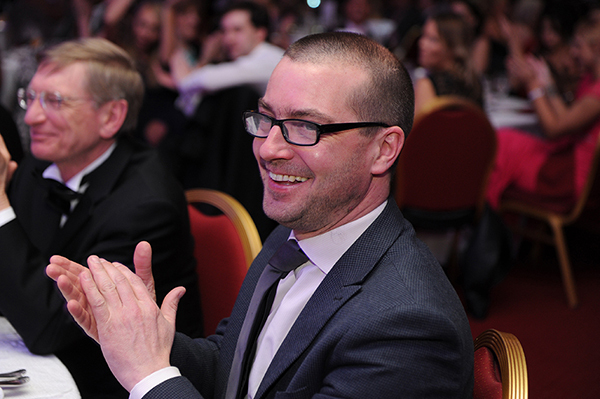 The event is a culmination of nominations and judging process over the previous six months, and the evening itself was attended by over 300 of our staff. 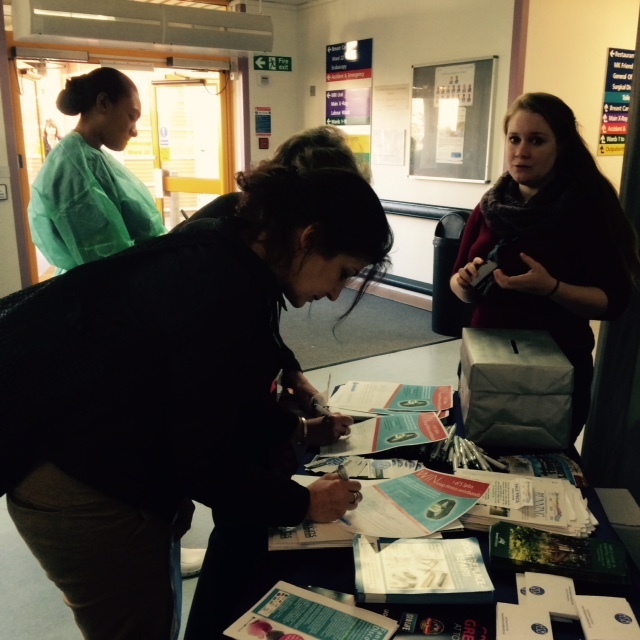 Milton Keynes Open Day Feb 2016.
we visited Milton Keynes University Hospital to promote the benefit scheme to all staff and inform them of the fantastic discounts on offer from local businesses. Special thanks should be given to Millie Spurrin - HR Advisor for the promotion leading upto the event and her hard work on the day. Millie informed staff by email of our visit and also through the staff intranet..... This definitely worked as staff began approaching us as we were setting up !! Whe had promotional material, leaflets and business cards from businesses taking part in the scheme and these were handed out in the goody bags given to all staff who visited the stand. Staff were informed of all the other businesses offering discounts in the area as well as the discounts offered by such companies as Forest Holidays, Ice Lolly.com, Whirpool, Hotpoint and many others. Millie and I were kept busy all day and had a huge amount of staff visit the stand all eager to learn about the discounts on offer and to nominate local businesses who they wanted discounts from!! We gave away 5 3plus FITBITS as a free prize draw.... All staff had to do was recommend 3 local businesses (Not national companies) .... as easy as that!! We have had an amazing few days up here at Northumberland, Tyne and Wear NHS Foundation Turst promoting our amazing discount scheme to members. We'd have some amazing feedback from members! Over the course of our visit we ran a competition to win an iPad mini, we'd like to say a massive congratulations to Patricia on her win! Enjoy your prize!! Another great time at Wrexham, even better for Kathie Jones from the hospital’s concerns team in Bangor (Ysbyty Gwynedd) who has won the holiday to Marbella! What a treat for christmas! 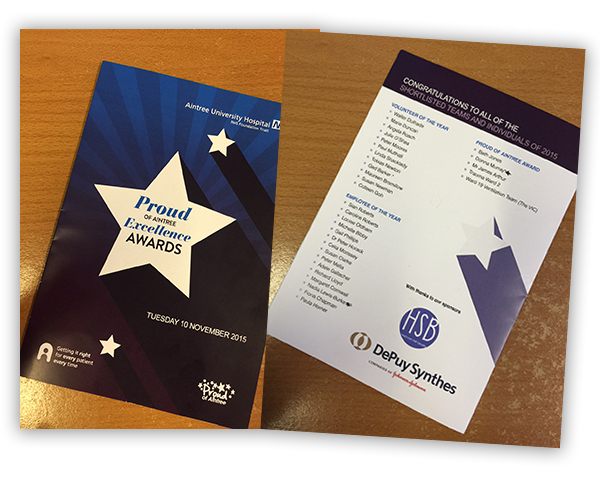 You can also find our advert in the latest copy of the Staff Newsletter! Be sure to register! 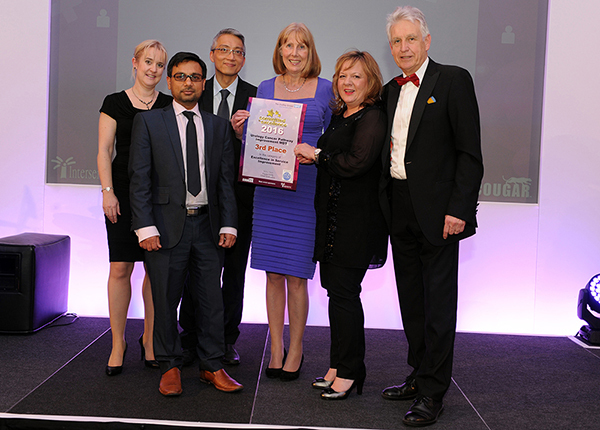 Aintree University Hospital - Proud of Aintree Excellence Awards 2015. 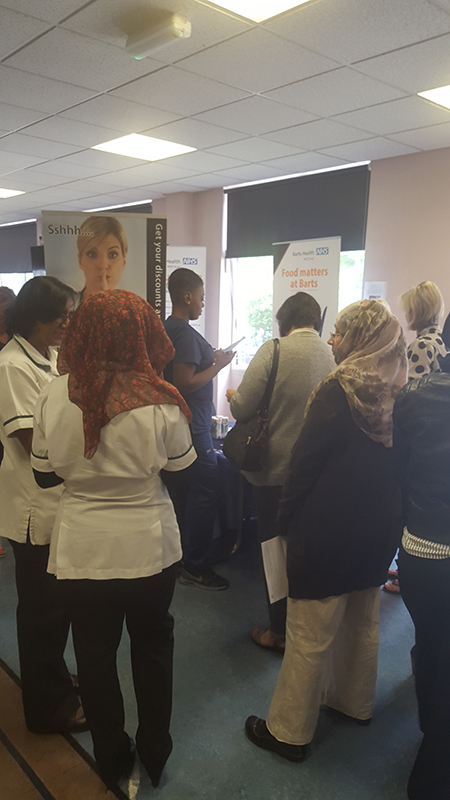 The Staff Health & Wellbeing event at the Royal Free Hospitals was an enormously successful event for the organisers, stall holders and NHS staff who took the time to see what was being offered to them by their employer. The Royal Free Hospitals employs collectively over the 3 sites some 9000 members of staff and over 3 days the Trust took the time to thank the staff for the hard work and time they give to the public and carrying out their duties. 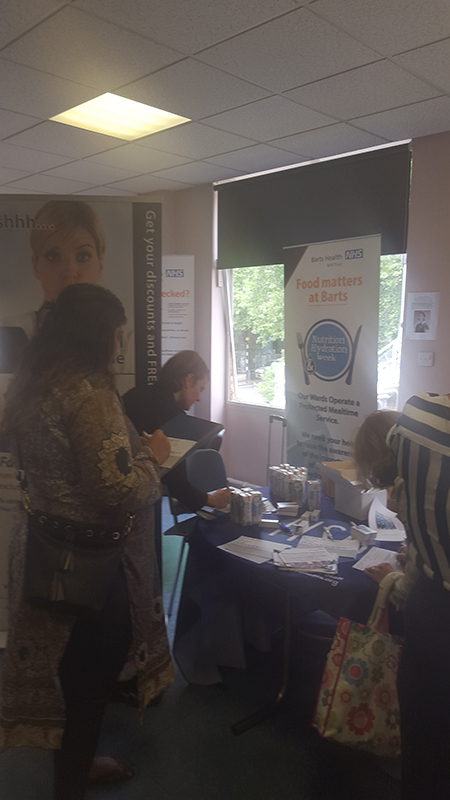 The main theme across the whole event was that the employee comes first in both their mental and physical well being and in actioning this theme, had stalls for staff to access that could help them in both their working and personal life. There were Physiotherapists giving shoulder massages to relieve stress and tension, healthy eating stalls giving away free fruit and juices, stalls giving advice about exercise and nutrition. At each site there are different classes to get involved with and there were displays of Tai Chi, Zumba and dancing taking place to encourage staff to join. 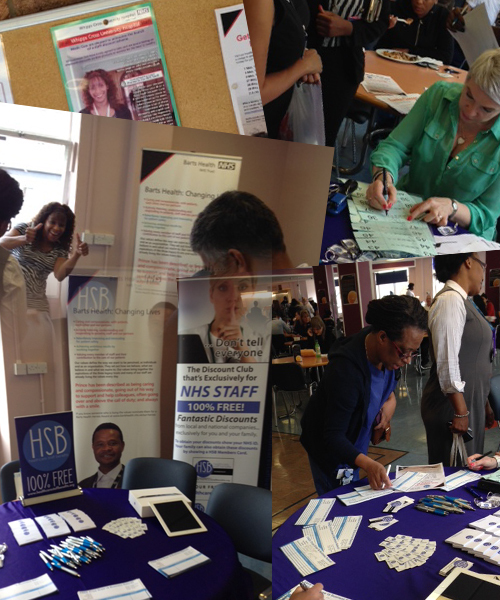 In addition to this were outside companies attending to inform staff about what they had to offer. Healthcare Staff Benefits were very lucky to be one of the few outside companies to attend all 3 sites. We had an extremely good footfall to our stand and as you can see from some of the pictures, staff were very keen to recommend businesses to us who they wanted us to contact to obtain discounts. Most of the staff knew about the scheme and are currently receiving emails from us informing them of the upto date discounts on offer. Those who weren't aware of our scheme were surprised and excited to learn that there were local and national companies willing to offer discounts to them. 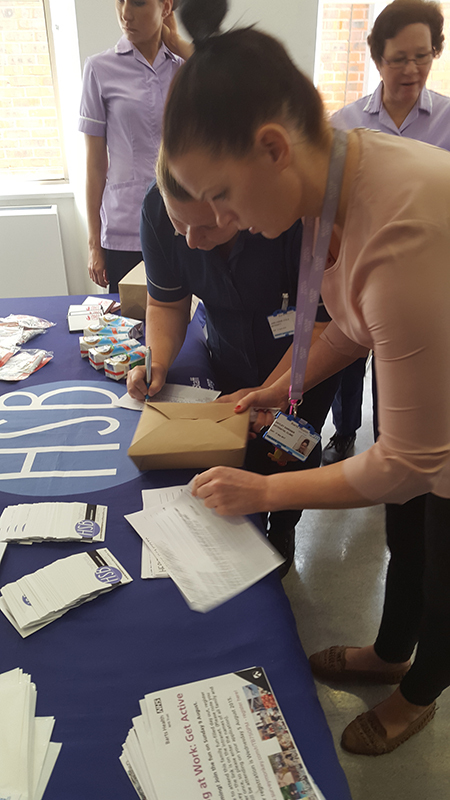 All staff were given a goody bag containing pens, post it notes, key fobs and information from local businesses who are offering discounts to Royal Free employees. In addition to this we provided the employees with a free draw and the chance to win a Mini-Ipad... The winner was JUDY HAWES FROM THE MAXILLO FACIAL UNIT AT CHASE FARM HOSPITAL. Judy has now received her prize and photos from the Trust will be supplied of Judy being presented. 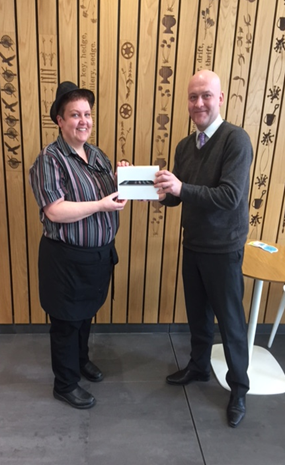 A massive congratulations to Andrea from Rossendale who recently won our iPad competition at Preston open day. Enjoy your prize! Holiday was won by Jessica Carling and the TV was won by Laura Shewan. Congratulations! Katie Woodcock in catering won the voucher for the beauty rooms. 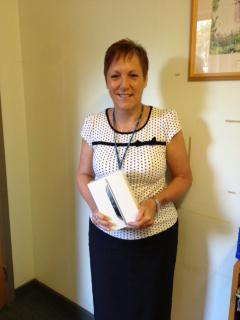 Carole Barber in procurement won the I-pad at chorleys open day. "Well I am back from one of the most beautiful holidays I have ever had. What a fantastic week in your lovely apartment we have had. We hired a new car when we got there so not a lot of time was actually spent in the apartment. We travelled all over up and down the coast and had a day in Benovahais (don’t know the correct spelling) which was absolutely brilliant. The harbour and shops were to die for and we had a lovely day on the beach. The weather was cracking all week which was a bonus too. I have come back to work today with a glowing sun tan. As I have said I cannot thank you enough for the most wonderful time." Be sure to keep an eye out at your Trust for any promotions / competitions from Healthcare Staff Benefits and be sure to enter! You could be next!!!! To Colette Barnes from Lancashire Teaching Hospitals NHS Foundation Trust who recently won a raffle prize donated by Healthcare Staff Benefits. Well, what can we say, what a fantastic couple of days we had down at Cheltenham General Hospital and Gloucester Royal Hospital. 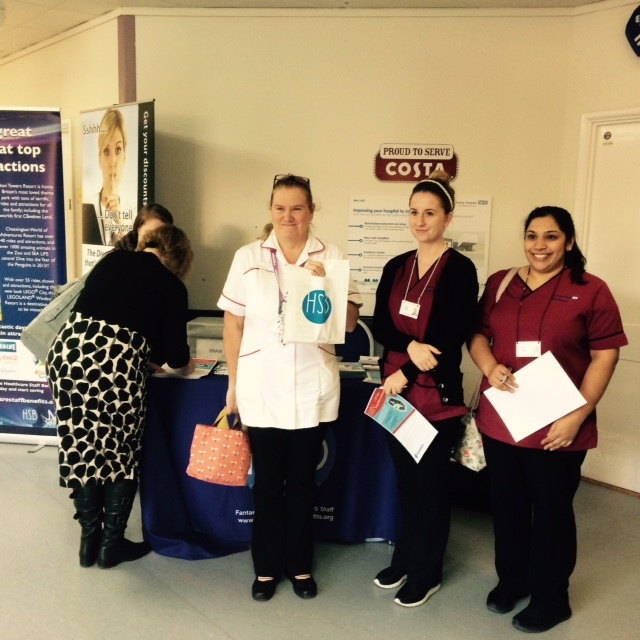 Staff were very interested in the scheme and alot walked away with our free membership cards! We'd like to say a massive thank you to Cathy Perkin at Gloucester Royal Hospital for inviting us down and for all her help in promoting the scheme to the staff and memebrs! We'd also like to say a massive congratulations to Lisa Lahiffe & Sharon Salmon who both walked away with vouchers from our draw! Another fantastic event we recently attended by Walsall Healthcare NHS Trust, we just want to as a massive thank you for them having us there for the day and we've had a great response from the team there. 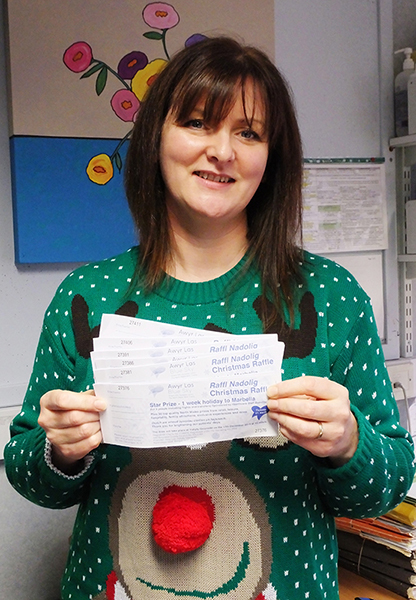 A massive congtratulations to Kelly Catchpole, Administrator who won a £50 M&S Voucher on the day. We recently launched the scheme for Peterborough City Council and attended and open event to promote the scheme to their staff. We had a great response from them on the day and continue to get more enquiries each day for our membership cards! We would just like to thank Megan Harvey who is the Coms Team for all her help and the support of the Council. We had a raffle draw on the day and the winner is....... Dawn Horton in Growth and Regeneration who won £50 M&S Vouchers. Congratualtions and enjoy your prize! 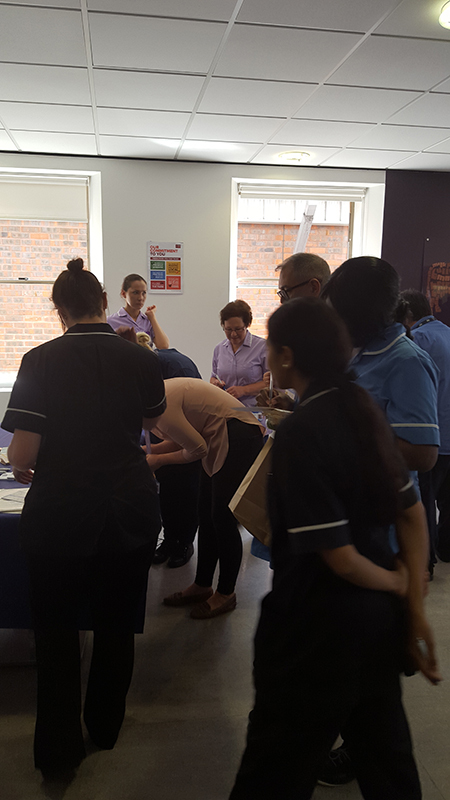 We recently attended Newham, Whipps Cross & Royal London promoting our scheme to staff, as usual it was well received and we ran a competition. Below is our winner.. 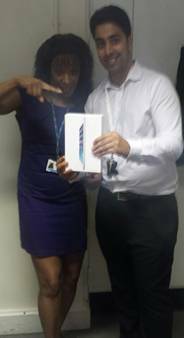 I am pleased to announce that the winner of the IPAD Mini is Sandeep Timba – Data Analyst, Endoscopy Unit – Whipps Cross site – WELL DONE! Left to right, Pat Jones, Public Governor, Councillor Shirley Fawcett, Mayoress of the Borough of Harrogate, Councillor Jim Clark, Mayor of the Borough of Harrogate and Rev Dr. Mervyn Willshaw, Public Governor and Deputy Chair of the Council of Governors. 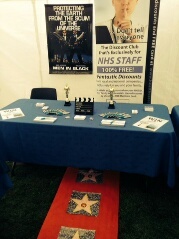 We recently attended an open day event in Newcastle with an Oscars theme. It was a great day and alot of fun was had. The scheme again was well received with plenty of staff coming by entering competitons and picking up more discounts cards for friends and family! A massive congratulations to June Richards who won our holiday prize at the recent Barts Health sports day on the 16th August. We hope you enjoy you break! 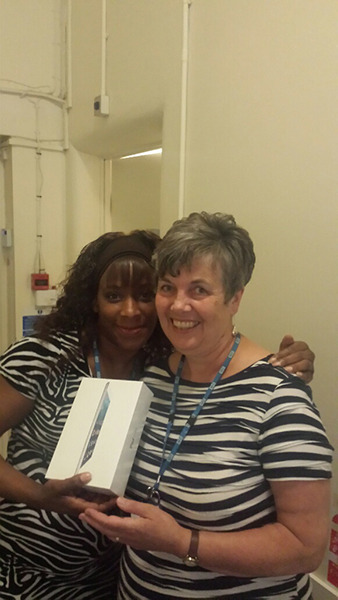 A hugh congratulations to Sandra Worral from the Medical Team at Newcross Hospital on winning our iPad Mini!! Enjoy your prize!! A massive congratulations to Margaret Minoletti on winning our Raffle Prize!! We hope you enjoy it! 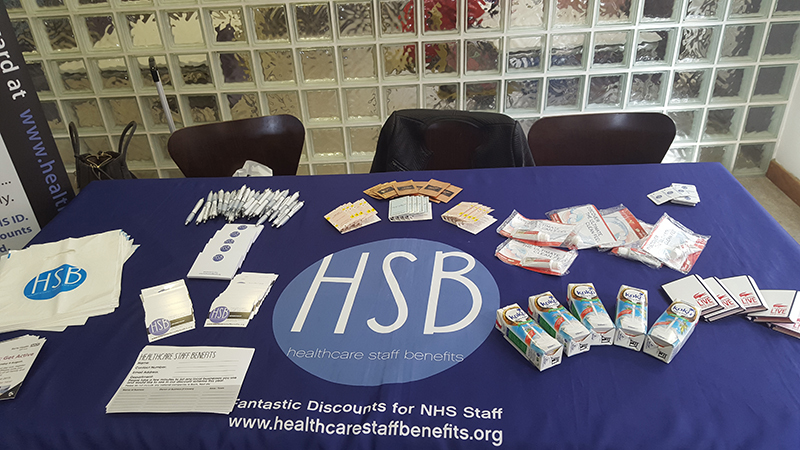 Today was a staff benefits day held in the staff restaurant at Whipps cross hospital from 12-2pm saw loads of people who were attracted to the table with our goody bags n free items. 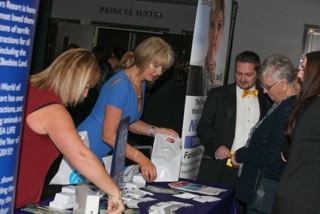 All staff who visited our stand happily recommended 3 local businesses who they wanted to obtain discounts from. 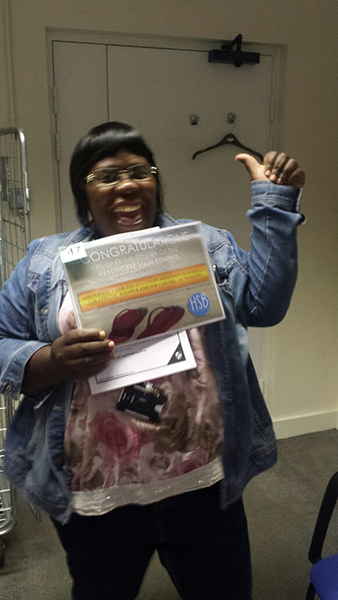 The majority of staff had or do receive our newsletters and had received their emails from Charmaine telling them about the prize draw today and the discounts on offer. Charmaine is an enthusiastic supporter of our scheme who worked hard to draw people to our stand and more importantly to the discounts on offer. At royal London hospital tomorrow in white chapel so hoping for another good day!! Had a great day today!! Attached are the photos from the day. We gave was £50 cash and entries were received for the mini iPad draw taking place on Friday. Busy Busy Busy!! Lots of staff poppin by and joingin up! 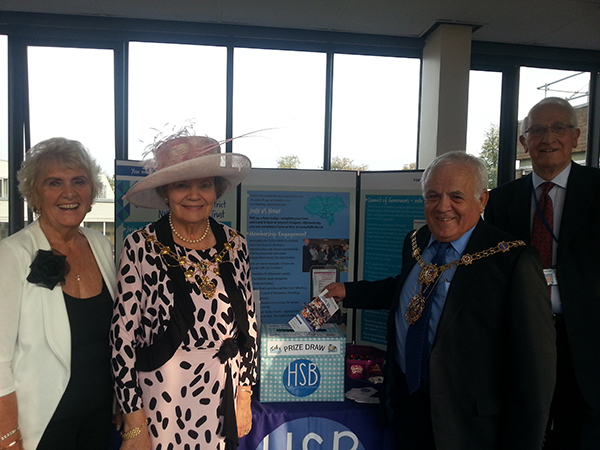 and not forgetting our Cash Prize winner Gillian Roberts, Below a photo our stand at the event! Another great day in Chester and a Massive congratulations to Liz for winner our Cash Prize! Was also great to have some festive backing music too!! A great day over at Freemans, Fantastic welcome again from all at the trust and alot of interest in our scheme and competition. Below is Amy Montgomery drawing out of Prize winner for the day - Congratulations Michelle Young We hope you enjoy your prize! 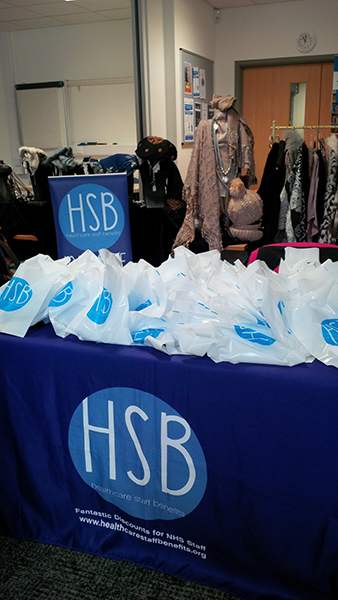 We handed out alot of goodie bags to staff on the day! The table was empty by the time we left! 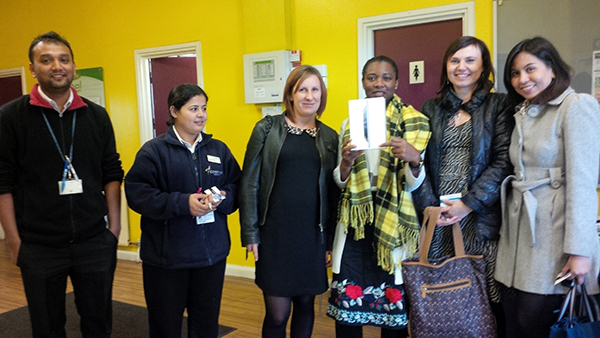 We gave away a mini ipad for the health & wellbeing events at West Hertfordshire hospitals on the 16th, 17th & 18th October 2013 and this is the winner. 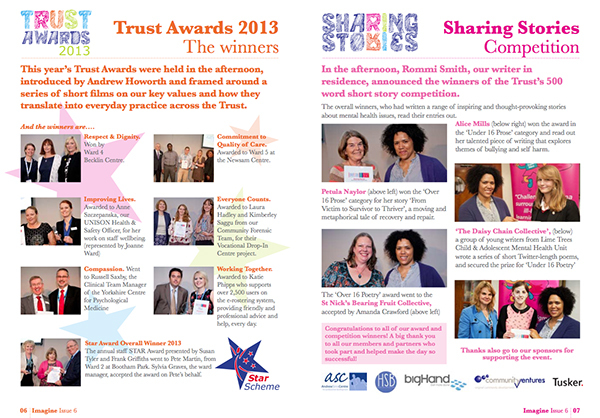 We supported teh Trust Awards 2013 and look forward to 2014! Congratulations to all winners. Help us raise £3 Million to build a new Neonatal Unit by donating now at www.justgiving.com/COCH-babygrow. Alternatively, you can text BABY49 followed by £1,£2,£3,£4,£5 or £10 to 70070. We had 3 fantastic days down in Wales at Swansea & Bridgend! Fantastic support from staff at both sites! Lots of cards where handed out long with leaflets and competition enteries! (Winners announced on News homepage) Here are a few snaps from the 3 days. 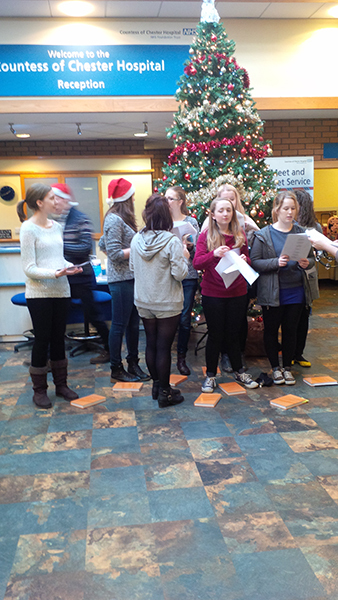 We had a great time at Yeovil District Hospital. The scheme was welcomed withe open arms!! 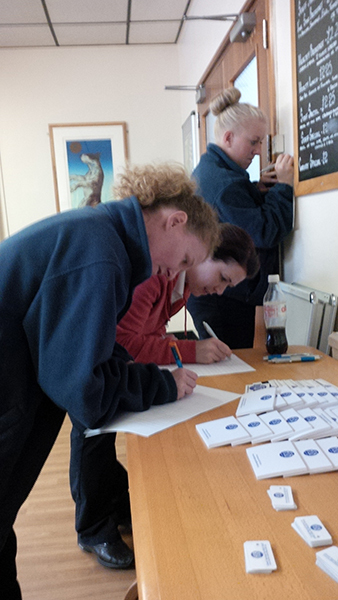 We had lots of staff signing up for our scheme and also entering our competition!! Not to mention coming up and getting their free goodie bags!!! 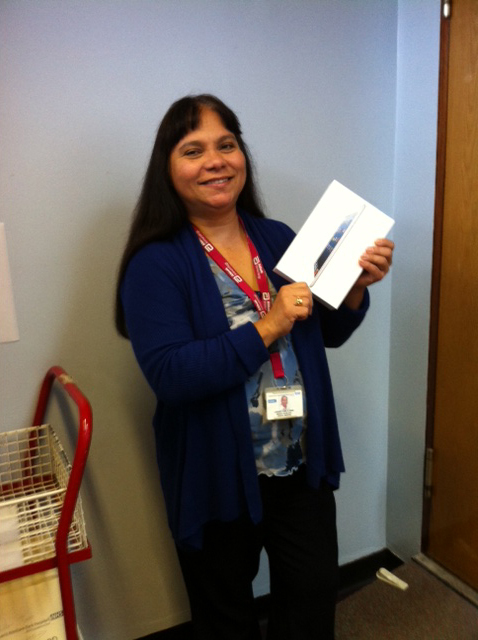 Check out this lucky lady who walked away the winner of the Healthcare Staff Benefits mini iPad competition. 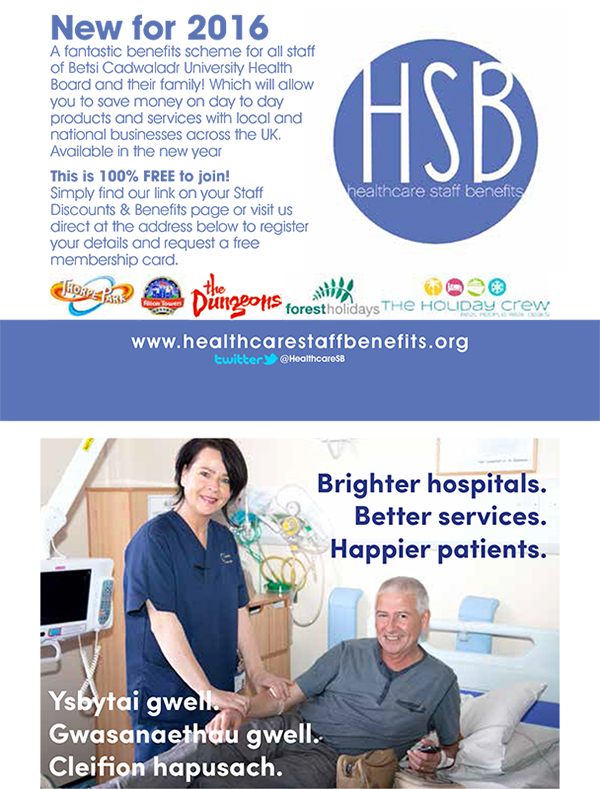 Congtratualtsion from us all here at Healthcare Staff Benefits. Enjoy your prize :) !! As awlways a great response from the staff - Angie Colvin Corporate affairs & Membership Management said "It was great to see so many staff again, even though the sun was shining and it was quieter in the restaurant. I must admit I am constantly getting asked for cards from staff and members and lots of people are talking about the scheme, which is fab. " 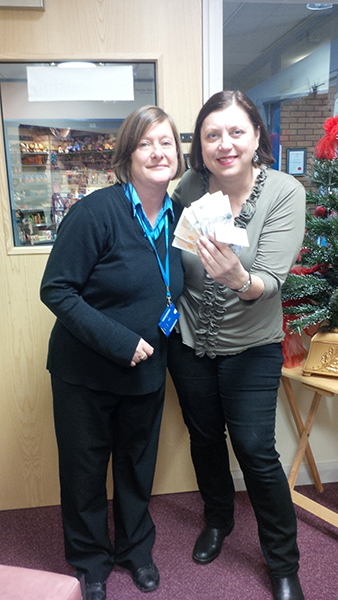 left to right, Linda Cross and Clare Stemp who were absolutely delighted to win the cash! 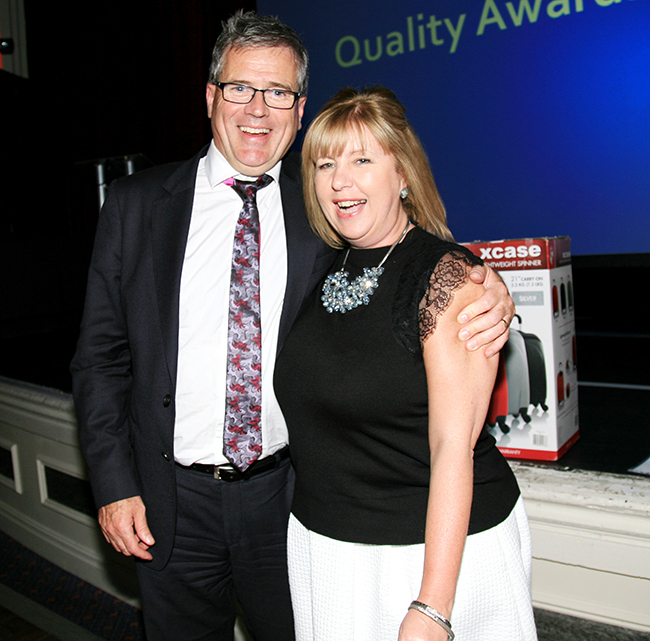 Well another fantastic awards ceremony for the Queen Elizabeth Hospital King’s Lynn NHS Foundation Trust. Here are a few photos of the winners. This is the 2nd year we've been part of these awards. 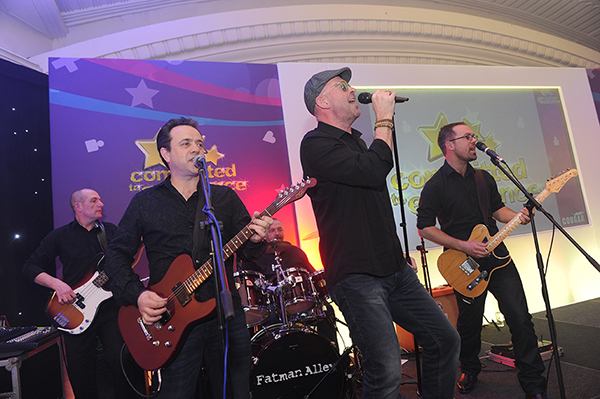 Another great event over in Newcastle. 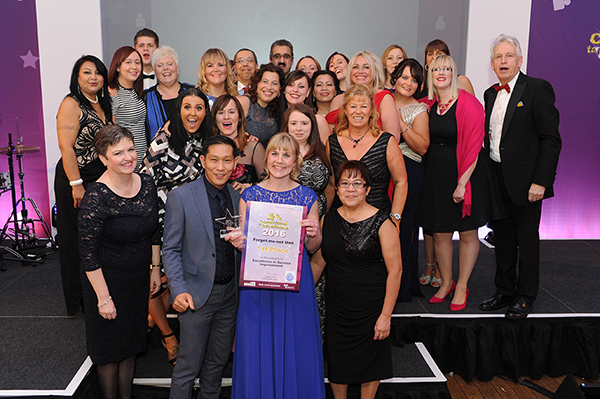 The scheme was very popular with the staff over their as you can see from the photo below! 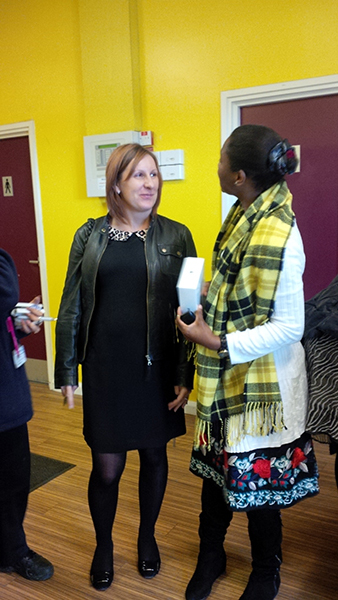 Many thanks to Barbara for all her hard work in organising this event. Congratulations to Falguni Kothari, Specialist Occupational Therapist on winner the fantastic Healthcare Staff Benefits Holiday. 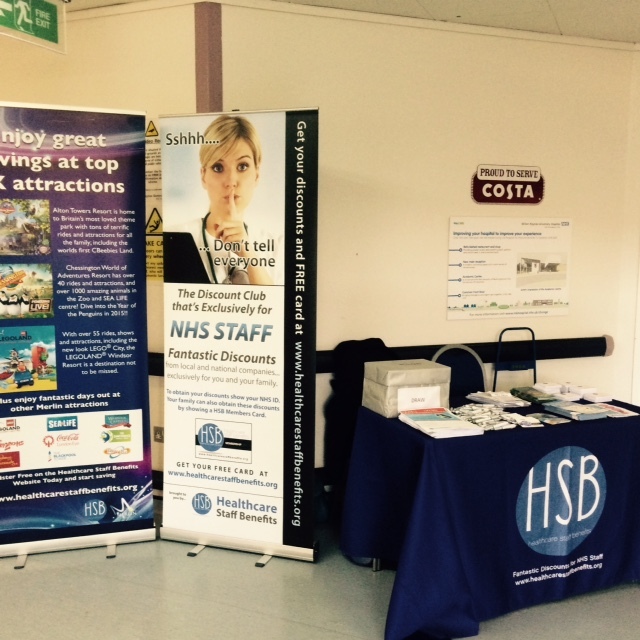 A hugely successful Road Show covering the Mid Yorks Trust. Year on year Arlene, Louise and their team have worked diligently to ensure their staff gain knowledge and have access to the benefits available. Therefore, staff interest has grown, as have the number of staff attending the Road Shows. HSB are proud to have sponsored Mid Yorks by donating an iPad Mini. 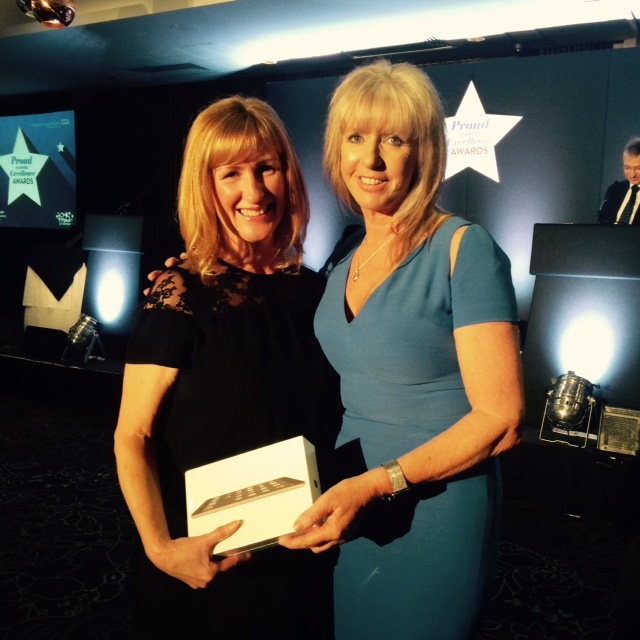 Congratulations Sue Berry – Payroll Admin Mid Yorkshire NHS Trust. Below is our recent competition winner Francis Cricklow. A Huge congratulations and enjoy your new iPad mini! We recently received this email from Lancashire Teaching Hospitals regarding their Red Heart Ball. I recently organised a Red heart ball to raise money for the British heart foundations 'mending broken hearts' campaign. 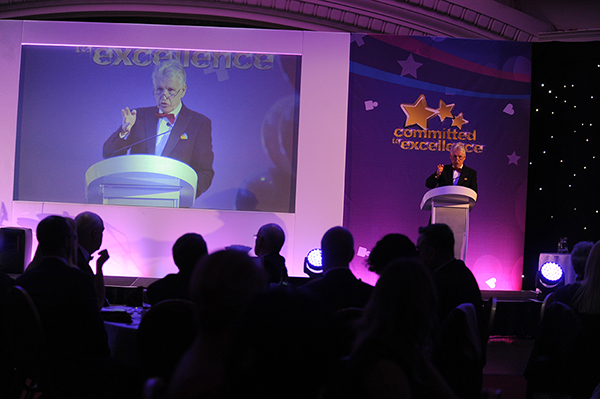 We held the ball at Marriott in Preston on the 15th of February 2013. On the night we auctioned an ipad mini that you kindly donated, it went for an amazing £270 to a Miss Rachel Cooper who is a staff nurse on the Royal Preston's hospitals critical care unit. Unfortunately we were unable to obtained individual pictures of the prize winners, the raffle and auction overran considerably and the photographer had to leave. However we do have a you tube clip of the evening which shows part of the raffle being held, I have attached it to the email. On the night we raised £7036 which is a fantastic achievement, as this was our first charity event. We could not have done it without the help and support that we received and the kind gestures and donations. We were truly overwhelmed. My co host Amy Smeaton and I would like to offer our heart felt thanks, as with your support the auction was a great success. So THANK YOU! Donna Peat and Amy Smeaton "
Anne Whitaker (Event Organiser) With Lynn Gibbons. 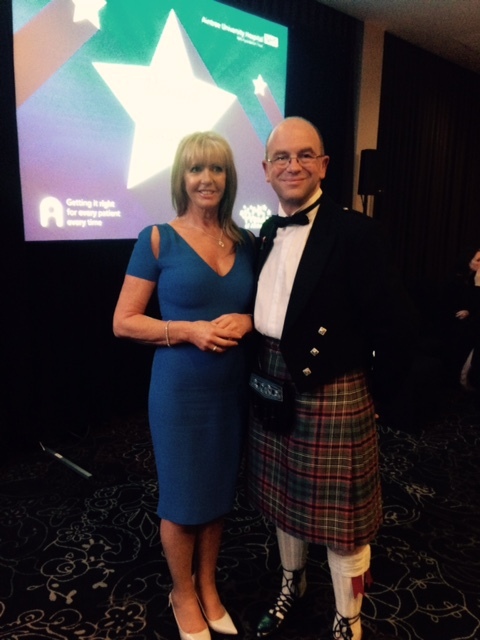 Anne With our company representative Joanne at the awards. First Cash Prize Winner Kirsty Radcliffe with her colleagues, Marie Clark, Jo Hill, Janet MacDonald, Georgina Withers, Catherine Lawson and Laura Gooch. Supporting The 5 Borough Parnernship with Donations. We recently donated a prize to the 5 Borough Partnership for M&S Vouchers..This was received with a huge thanks from the team over there. We are always happy to support our Hospitals we work along side with. We recently received a thank you letter see below from The Countess of Chester as we sponsored their 'Think Pink' Balloon Race. The theme was following the flame of success. It was organised by Julian Hayman and was a huge hit with staff. Those I spoke with said they were 'moved and inspired' by the speeches and video footage shown and felt their hard work was recognised and appreciated. freebies and promotional information were available from me. An excellent event. Healthcare Staff Benefits have donated a generous raffle prize to help raise funds for the Breast Care Unit at the Countess of Chester Hospital on their 'Think Pink' day. We recently had an open day in Preston. The whole day was a success, a non stop hive of activity, people coming and geting there free Membership Cards, Leaflets, Freebies offered by local companies and entering our competiton. We look forward to going back!! we recently recevied a thank you card from a recent Holiday competition winner. Extracts of the card say "Dear Healthcare Staff Benefits team, Thank you so so much for the amazing holiday, had the best time ever! Apartment is beautiful with everything you could possible need and more. It goes on to say "Would love to return one day as a week simply is not enough time to see all Marbella had to offer" Much love, Christine & Carly Newcastle upto Tyne NHS Trust. A recent Visit To Harrogate. Pauline McHardy Deputy Mayor of Ripon (in blue), Angie Colvin (centre), Sylvia Brierley Deputy Mayoress of Ripon.